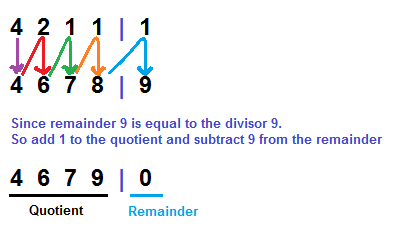 The remainder 17 > 9 , so add 1 to quotient and subtract 9 from remainder. 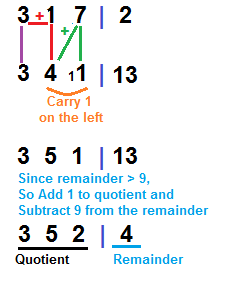 I hope, you would enjoy using this interesting and simple technique. In case of any query, please post in the comments.